In a digital age where stories—beneficial or detrimental—are shared online, reaching millions in a matter of seconds, it’s crucial to have a crisis management plan. No one, not even a company executive, is above a mishap. The crisis Papa John’s is currently trying to resolve after their founder, John Schnatter, made a controversial remark is just one example. Crises thrive in today’s digital era – they’re more frequent, scaled much larger and could have a greater impact on businesses. Is your business equipped to experience a mishap? Public Relations Society of America’s (PRSA) webinar “The New Rules of Crisis Management,” reveals 67 percent of companies aren’t prepared for a crisis. Of those companies, 32 percent don’t have any form of a crisis management plan. Others don’t know if they have one or their plan is outdated. Fret not: Crisis management strategies are evolving to take on mishaps in the digital realm effectively. While the core foundation for a well-developed crisis management plan hasn’t changed in the digital age the webinar details what’s new and worth noting. Employ a Watchdog: Social media and your engagement can make or break your brand in today’s society. While what and when you post is important, what other people say—and your response—is just as equally important. Go the extra mile: Keep an eye on who’s commenting, liking and sharing your posts and page. One wrong comment could erupt into a disaster. Monitoring gives you the chance to defuse a situation before it can become a crisis. Be Agile: Time is of the essence, now more than ever. Long gone are the days of a 24-hour news cycle, today’s news breaks in less than 24 seconds. Assign tasks before a crisis happens to ensure the right messages get to the right channels in a timely manner. Designate a spokesperson who’s trained on how and when to react. 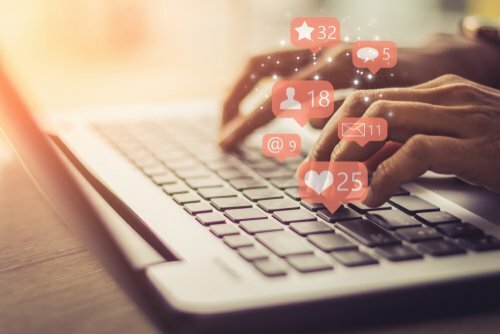 Take Control of the Message: Anyone can post their thoughts online, whether factual or not – the odds of a news story spinning out of control is higher than ever. Deliver your message to the public in a way that breaks through the clutter of the internet. Show your company’s commitment, responsibility and empathy towards the crisis to take control of the situation. Digital and social media are changing the rules of the game, but with a strong plan, preparation and the right people managing a crisis will be easier and more effective. Perhaps it’s time to review your company’s playbook or check out our approach to establish one so you can be proactive rather than reactive when confronted with a crisis.